RPM: Revolutions per minute ? Sr: Rear wheel sprocket tooth count (secondary drive) ? Pc: Clutch sprocket tooth count (primary drive) ? G: Transmission top gear ratio (last gear) ? TDr: Rear tire diameter (include tire in measurement) ? 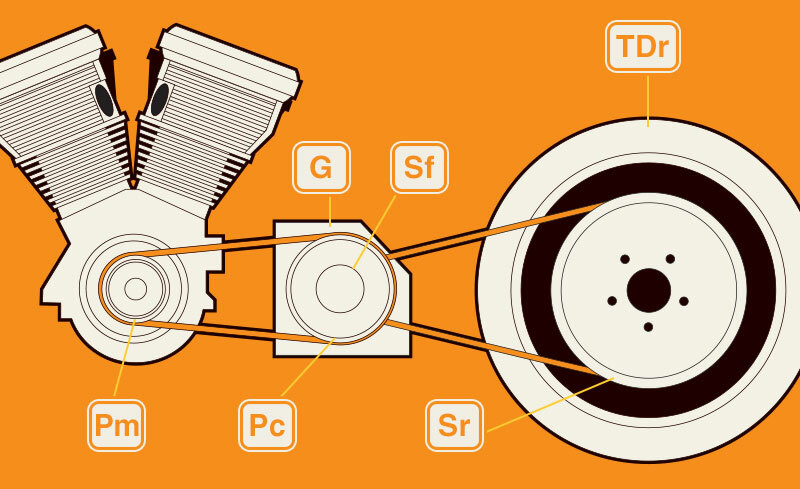 Sf: Transmission pulley or sprocket tooth count (secondary drive) ? Pm: Motor sprocket tooth count (primary drive) ?